MAKE SOME NOISE STUDIO can transfer audio from vintage and obsolete formats to CD and digital files. We can transfer: CASSETTE TAPE, MINI-DISC, 1/4″ REEL TO REEL, 4 TRACK PORTA-STUDIO CASSETTE, DAT and VINYL. 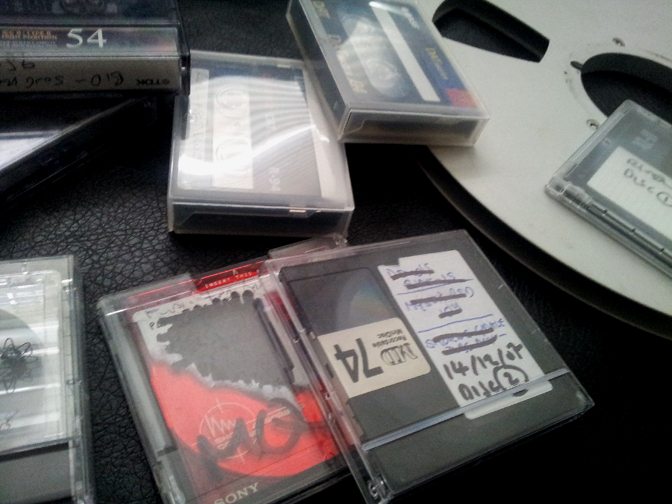 We can also restore, edit and re-master your valuable archive recordings where required. To discuss your requirements call: 07939 158633 or visit our CONTACT page and send us a message.